A variety of classes to keep your body from plateauing. Different choreography daily to keep your workout challenging. The ability to take breaks, remove equipment, or adjust your position at any time, with personal guidance and adjustments. Motivating and encouraging instruction, with fun and energetic music that keeps you coming back for more! The barre method uses your own body weight for resistance and focuses on small, deliberate movements that focus on specific groups of muscles, specifically muscles that aren’t used in other workouts. Muscles are worked to the point of fatigue, and then stretched for relief. Proper form, body alignment and posture is stressed, which in turn leads to an overall strengthening of core muscles and the appearance of an aligned, lean body. Increased stamina is achieved by allowing very little rest between activities so muscles stay engaged. Barre is also best for people who wish to work out their whole body every time they work out. Barre’s focus on small, isolated groups of muscles means that you will most likely be sore after each workout. Utilizing slower, controlled movements subjects your joints to less stress and chance of injury, while still providing a host of positive body composition benefits. Rest assured, regardless of what your Apple Watch tells you, you'll see results quickly at the barre. Women want to increase their strength without the added bulk. Clients see a visible difference in their arms, abs, thighs, hips and glutes, in as little as 8 classes with us. Truly all ages and abilities can exercise here, together. Low impact exercises, or group classes, are ideal for older individuals, pre-and post-natal women, and women experiencing menopause, as you can perform them at your own pace. While not a high-impact method of working out, barre is physically intense. Yes, you’ll work hard, probably harder than you ever have before, but the results and feeling of empowerment you’ll gain are well worth the effort. You will start seeing visible results in as little as eight classes. That is why barre appeals to so many women in all walks of life: to the young working professional who needs to manage her stress and find movement from sitting all day; to the stay at home mom who's still working on rebuilding her core strength and wanting connection with other women in-studio; to the marathon runner who cross-trains with barre to relieve tight joints and lower back pain; to the woman who hasn't exercised in 10 years; to the grandmother who wants the energy to keep up with her grandkids! 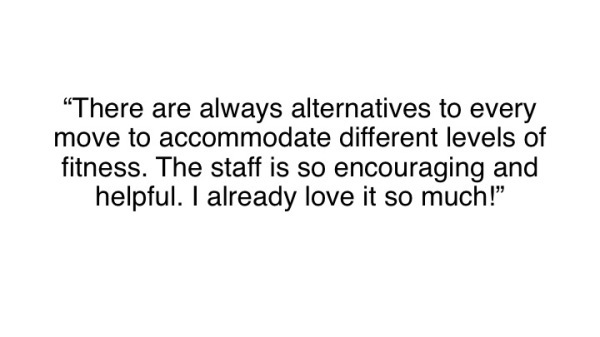 We don’t repeat the same choreography for 1 – 3 months, like other barre studios. We change our exercises daily. This prevents plateauing, and keeps your muscles consistently challenged. We also offer 4 exercise classes, offering a complete fitness regimen in one place (Barre All Levels, Barre STRETCH, Barre HIIT and Barre POWER). Click here to learn about all 4 classes. It’s actually fun, and we cultivate community. Perhaps one of the best benefits of Neighborhood Barre is that women actually enjoy their workout here! We incorporate the use of upbeat music and engaging choreography. When working out is fun and enjoyable, your chances of staying with the program greatly increase, as does your motivation and performance when working out in a group setting. Another positive aspect of our studio is the upbeat nature and feeling of community and camaraderie here. There’s no stuffy atmosphere, and women find common points of connection, inside and outside studio life. Complimentary child care is also offered. There are no age restrictions (newborns to adolescents welcome! ), but space is limited to 5 children per class, so reservations must be made in advance, for each child. 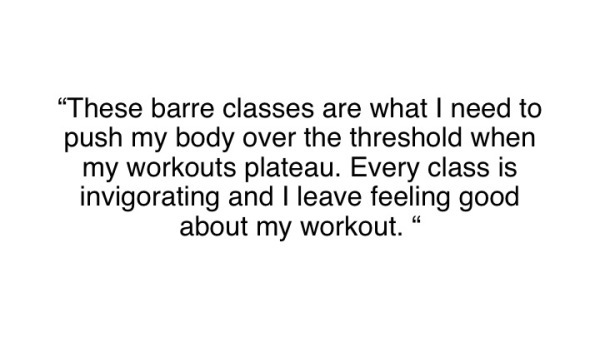 What makes Neighborhood Barre different from other barre studios? 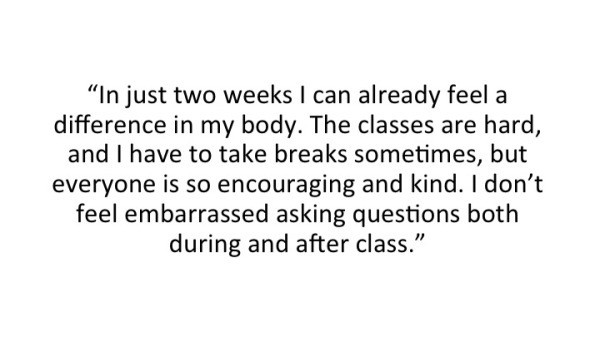 We don’t repeat the same choreography for 1 – 3 months, like other barre studios. We change our exercises daily. This prevents you from plateauing, and keeps your muscles consistently challenged. We offer 4 different class styles, offering a complete fitness regimen in one place. We're also a small, localized studio that focuses on community and camaraderie. We're your fit fam! Plus free child care's available, mamas! What should I expect from my first Neighborhood barre class? It's important you arrive 15 minutes early. Your instructor will have paperwork for you, and also cover a quick 5-minute orientation about what to expect so you feel comfortable and prepared for class. Prepare to be a beginner regardless of your fitness routine. Expect your muscles to get hot and shaky (yes it's normal we promise!). Expect to discover muscles you didn't even know you have. Expect to be sore! Expect to take at least 5 classes before you learn the lingo and start to master the moves in class. We use a different vocabulary here, and you're going to train your body to move like you never have during exercise. We like to spend a few minutes setting you up for success beginning with your FIRST class, so it's important to arrive 15 minutes early. Class will be much more enjoyable, and effective!! Check out our specials page for our monthly (free!) Barre BASICS workshops to improve your performance and results. Our exercises change each day to keep your body constantly challenged. In fact, you may never do the exact same workout two times in a row. EVER! We also offer 4 class varieties, based on strength training, cardio endurance, and flexibility, to continually provide a challenging, dynamic, and complete exercise program for our clients, all under one roof. We provide modifications for everything we do in class. But as a general measure, first start by losing any equipment. Second, listen to the instructor in class for ways that you can customize the exercise to work for you. If you are dealing with an injury, sensitivity, or pregnancy, it is important you show up early to class, to discuss that day's exercises with your instructor. This ensures you'll feel comfortable, and equipped with options prior to class starting. Typical yoga or pilates style clothing, but ultimately whatever makes you comfortable. No dress codes or barrebies here! We are a barefoot studio, so not shoes or socks, but feel free to wear barre grippy socks if you like. Tennis shoes are optional for our Barre HIITif you'd like more support. 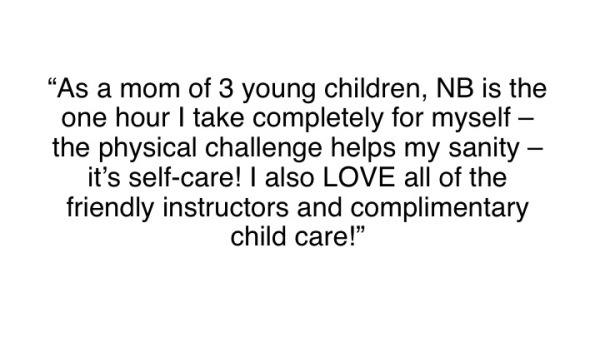 Child care is complimentary and included with any Neighborhood Barre Class Package! We also have $5 drop-in child care, per child, if you are visiting our studio under Class Pass. How do I reserve child care? Please make a reservation for your child using your name under the "child care" tab for the same class time you are attending. If you are bringing more than one child, you can only make multiple reservations on the website. Unfortunately the Mindbody app does not allow multiple, or duplicate reservations so you must make multiple reservations online. Or give the studio a call and we'll reserve for you! Please make sure to reserve a spot for each individual child, as space is limited! 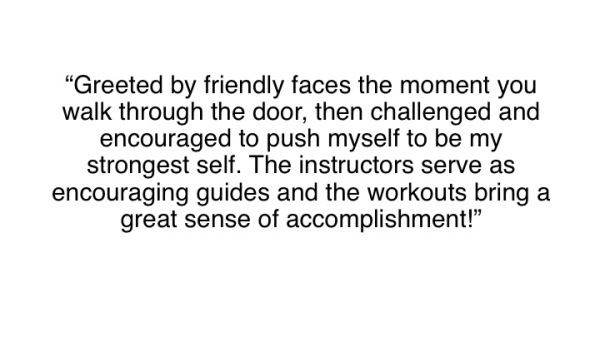 Just bring a positive attitude, a pep in your step, and maybe a friend if you like :) Neighborhood barre provides all equipment needed during class. The only thing you might want to have with you are a water bottle and maybe a small towel if you sweat easily (we have water fountains + hand towels in the restrooms, as well as dry shampoo, deodorant, and a hair dryer to freshen up!). Dependent on what other exercise you may be doing outside of the studio, we think three classes weekly is a great place to start. 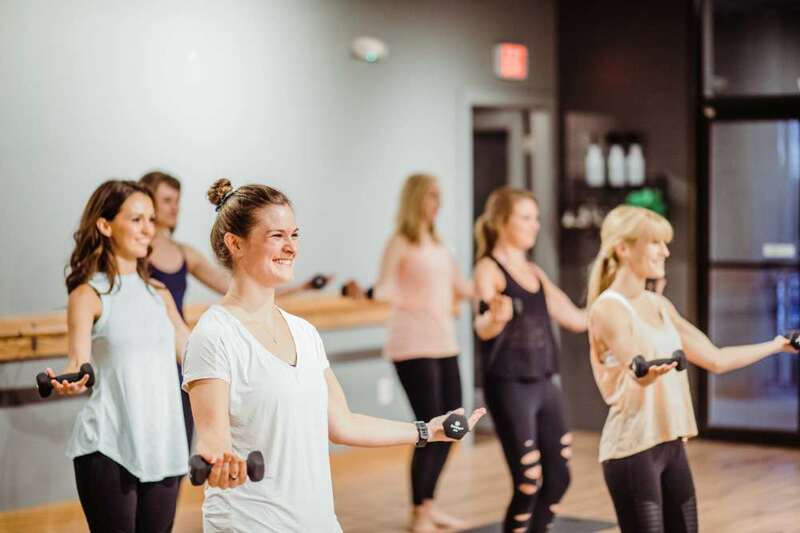 With our traditional Barre All Levels class, you can take class consecutive days, as typically low-impact and body-weight bearing exercises like barre help to alleviate muscle soreness (especially our Barre STRETCH class!) Once you're comfortable, try adding in one of our intensive classes to fire up larger muscle groups and complement your isometric barre work, like Barre HIIT or Barre POWER. As this is largely dependent on your size and weight, most burn between 300 - 500 calories per class. Remember that the more fatigued your muscles, the more calories you will continue to burn in the hours after class. And remember to mix it up by incorporating at least one Barre HIIT or Barre POWER class weekly, if weight loss one of your fitness goals. Can my class package be used at both studios? YES! Your class package may be used at both Neighborhood Barre Brentwood and Neighborhood Barre Nashville, in Green Hills. Things happen that are out of your control, and that's why all clients are allowed two complimentary late cancels. However, to avoid being charged going forward, please respect our cancellation policy. If you cancel within 2 hours of class start time, a $5 late fee will be charged. All no shows will be charged one class credit or a $10 no-show fee for unlimited members. Thanks for making space for your neighbor at the barre! All class package (individual or unlimited) purchases and any workshops are all final sale. There are no returns or refunds on any services purchased, so use it or lose it friends! For apparel purchases, exchanges are available for 14 days from the date of purchase. All merchandise purchased on sale are considered final sale.